Driver vs. Company: Who’s Liable in Commercial Auto Accidents? Ever since an Uber self-driving vehicle killed a pedestrian crossing the road in Arizona in March 2018, insurance industry analysts have been pondering the future of commercial liability as it applies to auto accidents. The fatal Uber accident is interesting not only because it featured an autonomous vehicle, but also because there was an actual driver behind the wheel who failed to take control prior to impact. Moreover, there was a passenger present, meaning that Uber was indeed conducting business when the accident took place. Many drivers associate commercial vehicles with tractor trailers, light trucks, taxis, and delivery cars that prominently display corporate branding. In some cases, the drivers even wear uniforms, making it easy to assume that they are on duty and working within the scope of their employment. 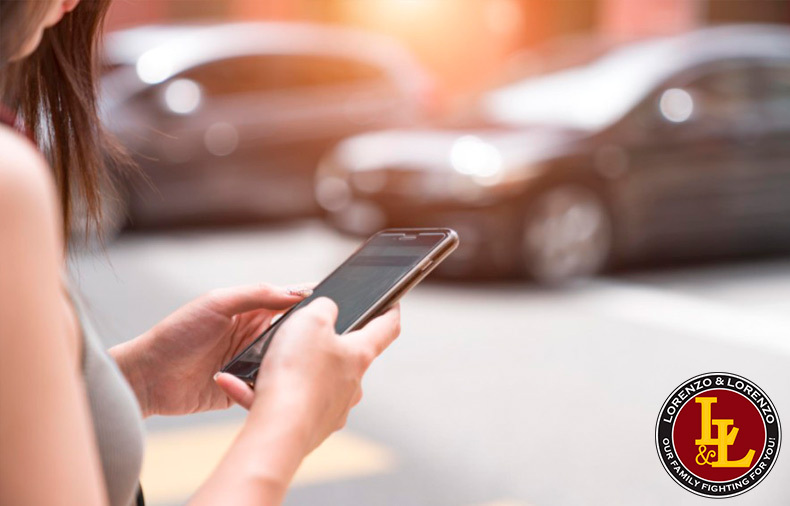 The gig economy, however, has prompted many Floridians to put their personal cars to work for Uber, Amazon, and other companies that hire them as independent contractors but not as employees. In such cases, the scope of employment isn’t as clearly determined — nor is legal liability when an accident occurs. To a certain extent, employers are expected to be responsible for the conduct of their workers when they’re engaged in actions within the scope of their employment. For this reason, business owners are expected to purchase commercial liability policies that are more comprehensive than personal insurance policies issued to drivers. One of the legal principles of liability insurance is that business entities must respond to claims involving wrongful or unfortunate acts caused by employees. Let’s say a Domino’s Pizza regional manager drives a company car to inspect a location in Tampa. As she arrives in the parking lot, she accidentally crashes into a customer’s car. In this example, the liability would clearly fall on Domino’s as the employer. Whenever the conduct of the driver is not within the scope of employment, the liability may not necessarily fall upon the employer. In the Domino’s example, for instance, what if the Domino’s manager decided to drive the company car home after the end of her shift and then causes a wreck? This may be grounds for placing the burden of liability on the individual driver, rather than the company. In Florida and around the United States, many business owners are trying to avoid keeping employees on payroll by hiring contractors — a side effect of the gig economy. The financial benefits of hiring employees versus retaining independent contractors are subject to debate, but one mistake that some companies make is assuming that liability can be easily shifted onto independent contractors rather than the business itself. Most rideshare drivers and passengers are covered by a $1 million liability policy whenever a ride is in progress; however, these drivers are often required to obtain their own commercial liability insurance policies when they become independent contractors, thereby providing coverage when they are on en route to pick up a passenger. Some cargo companies are also in the habit of using independent contractors as their drivers. In fact, some companies even seek drivers who can provide their own trucks and commercial liability insurance, but this doesn’t mean that trucking companies will be “off the hook” in case of a truck accident. Accidents involving commercial trucks are more complex than drivers realize. A trucking company leasing a vehicle and retaining an independent contractor to operate it has quite a few responsibilities to assume as provisioned by the Federal Motor Carrier Safety Administration regulations. Moreover, the liability may be shared by multiple parties depending on the circumstances of the accident, thus complicating the case even further. In the end, the best course of action for individuals who have experienced losses and injuries due to accidents involving commercial vehicles is to consult with seasoned local attorneys who focus on automobile accidents of all kinds. Florida drivers should also stay informed about the state’s auto insurance laws. Considering filing a lawsuit? Schedule a free consultation to discuss your auto accident case with experienced Florida personal injury attorneys at Lorenzo & Lorenzo immediately.